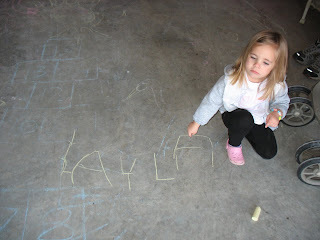 Layla wrote her name today in the garage with chalk. It isn't perfect, but wonderful for a 3 year old!!! She is becoming such an independent girl...she is truly a sweetie pie.